Retail Storm POS is a new iOS productivity and business app that was released 5 days ago on the iOS platform. Designed for newer iOS devices, with stunning UI and functionality, this app could really turn your iPad or iPad Mini into a cash register. It is a global storm POS that will enable you to do and manage your business in a better way with its Modern Point Sale Platform. Created by real businessman and professionals, this app involves everything on business owner should have, all packed in flawless design and intuitive UI. Squirrel Run is a new, outstanding and exciting adventure game that recently caught our attention on the Google Play Store. This lovely and entertaining game features amazing graphics, great sound effects and highly challenging and interesting gameplay. 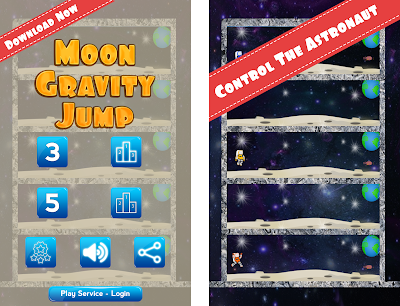 It is a jump game in which you’ll need to avoid all obstacles, collect the nuts and do that in the best possible way. The storyline is simple. The dog stole all of your nuts. You need to get all of the nuts back from this awful thief dog. You control the squirrel with just simple taps. The game has two worlds. However, you must pass all the levels in the first world in order to progress to the second. Note that each world has 12 levels that get harder as you progress. To make things more interesting the developers of this game created amazing lively and vivid HD backgrounds. That will make your time playing this game much more enjoyable, even more because of the lovely, relaxing and nicely selected music and sound effects. Another thing we must praise is the quality of the game when compared to its size. This game is only 3.3M in size and still offers amazing gaming experience. This enables the game to be enjoyed on even older Android devices, something that the developers are forgetting nowadays. At the end of the day, Squirrel Run is a game worth downloading and playing. It is a game for all genders and ages. It is relaxing, pleasant, joyful and entertaining gaming experience that will challenge you. It looks great on any Android device and it features amazing backgrounds, gameplay and sound effects. Get it for free on Google Play. It is currently trending in the Adventure category. TipSee is a cross-platform app that will enable you to track, register and follow all of your tips. The app has several features that can be really useful to you as a worker. First of all, it offers you to add tips everyday and keeps all of your tips in a calendar view. In that way you will have clear view of how much tips you have earned in any particular day and time. FaceDubb is a new iOS app that is currently trending in the Entertainment category on the App Store. It is a lip sync selfie video app that will enable you to create funny videos that you can share with your friends or family. Basically, the app will enable you to create comical videos by lip syncing to your favorite celebrity, cartoon characters, quirky voices, or entertaining sound effects offered in the app. 1. Select a category and chose a dub sound or voice. For example, if you want to wish someone a happy birthday, go in the birthdays category and select some of the dubb sounds and voices related to his category. 2. Record your chosen dubb and then share it on social media, messaging apsp or email, or save the video on your iOS device. It is a simple as that. The app features over hundreds of celebrity voices, cartoon characters and sound effects. There are different sound effects for every taste. You can use it for sarcasm videos, or even funny insults to tease your friends. The best thing is that the app gets frequently updated and new sounds are added. However, please note that you can also add your own voices in order to create a video selfie. Using it for the last few days we must emphasize that we adored the app. It is light, easy to use and it offers something extremely fun, that represents a great novelty in the App Store. On top of that you can win prizes as the creators of FaceDubb have ongoing competition on selecting the best Face dubbs. If you have interesting competition that want to get acknowledged by the developers and users you can send it on facedubb@mail.com. The app is totally free and available on the App Store. Weed Garden: Grow Cannabis is an interesting weed game that will enable you hours of fun times on your Android devices. This cannabis game is something like you have never experience in your life. If you want to be a weed farmer and have fun times building weed farm on your smartphone or tablet, this is the perfect app for you. The New Basketball Coach 16 is a new basketball game that is one of the best new games in the paid sports app category on Google Play. This fresh and extremely interesting basketball management game has quickly earned critical acclaim due to its originality, well-thought storyline, features and gameplay. With this game you will have the ability to lead a basketball team. However, this basketball management offers various features and aspects on which you have to put great attention because they will be vital for your success. You must learn how to play under pressure, use your timeouts, make crucial and wise substitutions. On top of that you need to give crucial instructions to the right players in order to be successful. You can start your career from scratch and lead yourself under pressure and to success. You can choose strategy before each game. We loved the involvmenet of the Chairman and the General Manager in the game. They will be harsh to you and you must satisfy their needs in order to achieve success. Note that if you are winning and your executive staff will enable you to get even better players. So, far, 10 teams are available in the game. However, you will have the possibility to create your own team. The game is neatly organized, has pleasant graphics, fonts and intuitive UI. Every basketball fan should try it and it is easy to say that the game is created by a highly professional team of developers that adores basketball. Get it on Google Play and test yourself as a basketball coach. 18 May, Wayoming, USA. 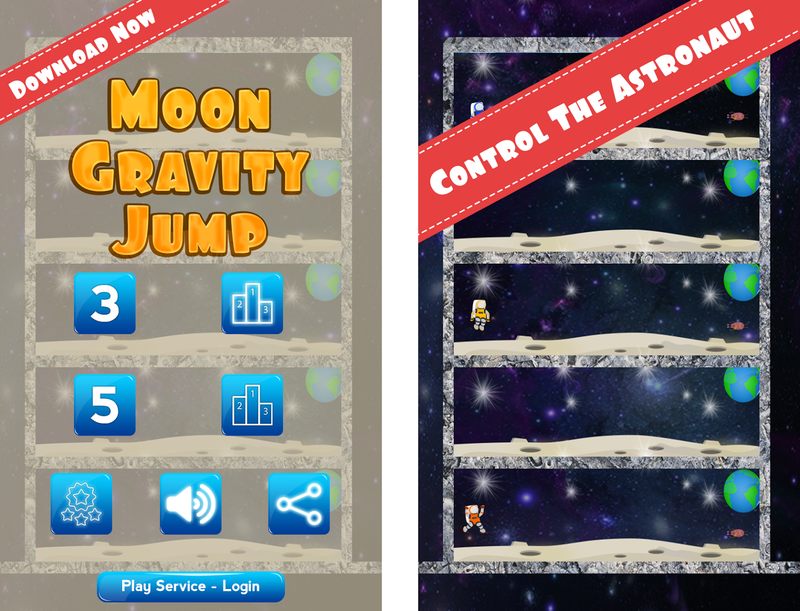 Moon Gravity Jump is the latest app from the company “Augmented Life, LLC”. This minimalistic arcade game is set in a retro Sci-Fi universe with lovely sounds and gravity. Packed in pixelated graphics with fun colors, backgrounds, great gameplay with extraordinary gravity movement and jumps that would be hard to master, you will need great set of skills to avoid all obstacles. Avoid the deadly aliens and get to the team of astronauts. MAY 13, 2015 - PlayInjector has announced the release of a brand new bundle, The May Days Bundle. This new bundle includes 6 indie games, Dead Slayer, KEL Reaper of Entropy, Mine Dudes, BEEP, Camera Obscura, and Depth Hunter 2: Deep Dive. PlayInjector is a platform that exists to support independent game developers. By delivering a cooperative environment where funders can donate to the Game Starter Fund, PlayInjector offers the best indie game bundles and community. All money donated to the developers goes to the creators of the games in the bundles. PlayInjector runs exclusive bundles routinely, offering a fun, fresh variety of unique games. Players are able to pay what they want to access the bundles, and the payments can be distributed between developers, charity, game starter, and PlayInjector tip. In a time when consumers are growing tired of mainstream games, developers are consistently creating a stream of exciting, new games with innovative interfaces and strategies. These out-of-the-box thinkers are the leaders of the gaming movement and the inventors of the gaming industry’s future great games. PlayInjector is proud to work with talented indie game developers who bring fresh, new work to the table. In addition to the newly released May Days Bundle, PlayInjector has announced an exclusive giveaway. 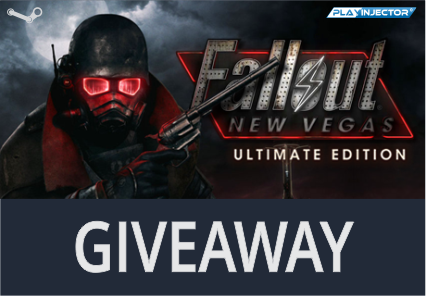 The Fallout: New Vegas Ultimate Edition Giveaway will give one lucky winner a steam key to the game. Facebook login is required to participate in the newly launched giveaway, which ends in 12 days. 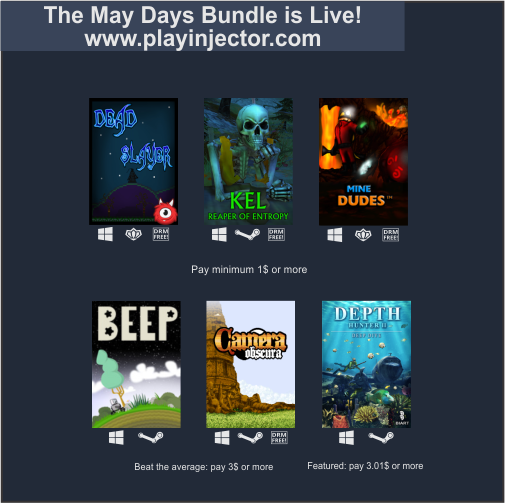 To purchase The May Days Bundle, customers can visit playinjector.com and contribute a minimum of $2.99. More information is available at http://www.playinjector.com/. 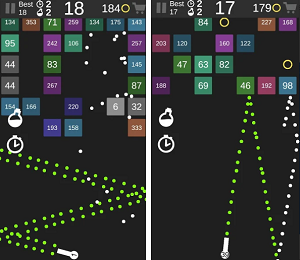 Mr Drop is one of those iOS gravity games that you’ll simply love and adore. Packed in sweet and extremely cool graphic design, the funny looking character will take you into a road filled with dazzling gravity, insane, but interestingly challenging obstacles and physics engine that you’ll simply adore. Eoso is a well known producer of iPhone cases and protector. The product are going to present you today is one of their best products. The Slim Fit Skin Cover Bumper Frame Iphone 6 Case is a cover you want to use for your iPhone 6. It features anti-collision equipment inside with amazingly strong lining material. This outstanding bumper frame, can be used alone without any backcover. It is made from aluminum, and not only that it protects your iPhone 6, it will also give you that luxurious feeling when holding it. This case will give you protection from every possible angle. That means that the touch screen protection is also included. It is made from strong polycarbonate TPU. Logically it also enables access to all buttons for the iPhone. The unique metal anodsized technique will enable ultra-powerful protection will enable no fading, scratches or water and dust. It is a trustful protector of your iPhone 6 that will give you the feeling of freedom. You want be scared of your iPhone 6 falling, because you will know it will be safe. The price is great, and this case has amazing value. This Iphone 6 Screen Protector is one of the best new protectors of the iPhone 6. Right at the start we want to talk about the specs. It has 9H hardness, 0.33 mm, 2.5 D rounded edges. You won’t even see that it is on your iPhone, but yet your screen will be protected. It is produced by Eoso, one of the most popular companies in the iPhone 6 cases and protectors niche. There aren’t any gaps around the edges. It doesn’t affect the iPhone 6 cases in any instance. It can guarantee great protection of your iPhone from falls and scratches. The tempered glass body is one the most quality materials to protect your phone. The best thing is that it is removable. You can easily take it off and return it back whenever you want. However, we must also emphasize that it also offers high sensitivity, you won’t even feel difference without it. At the end of the day it is protector made from chemical processed glass that you will definitely want as protector to your phone. It is shock proof, and pressure resistant. Get comfortable over your iPhone and don’t ever be scared of it falling. Today we will speak about one of the most beautiful, quality and affordable cases that you can find on Amazon. Eoso is one of the best producers for iPhone cases on Amazon. The Diamond Crystal Rhinestone Case has probably one of the best quality-price balance. That means that it has amazing value for what you are getting. It is one of the best kickstand frame bumper for the iPhone 6. It is in pink color so it is obvious that it is intended for the girls. There are 3 angles to choose from. That means that you can adjust it as you desire. You could easily watch videos, movies, or browse the internet. The design is extremely beautiful. It has nice edges and of course, it enables access to all ports, sensors, cameras, and speakers. The material feels good on your hand and it will definitely not slip from your hand. The feel the case give you is luxurious. It features diamond crystal rhinestone frame that can really protect your iPhone 6. You will never experience scratches or anything similar. This is unique, beautiful and really modern-looking case. It is a light, but really strong protector of your iPhone 6. Get it on Amazon. App Review – You Dumb! You Dumb! Is a free iOS game that recently caught our attention with its simplicity and entertaining gameplay. The app wants to challenge your knowledge and see if you are really dumb. The goal of the game is to test your reaction time with simple math problems. Yes, you will find them really easy at times, but the key for achieving best results is the speed. If you are fast enough you will earn highest number of points. Martial Heroes is a free martial arts brawler featuring characters created by three famous martial-arts novelists, and with solo and PvP modes. Martial Heroes by Awecent Pte. Ltd. is available for free from the Google Play store with optional in-app purchases available to boost your gameplay. Martial Heroes puts you directly in the action, fighting alongside famous characters created by three top martial arts novelists - JingYong, Gu Long and Huang Yi. You can enlist over 100 legendary heroes to fight on your team, increasing their skills and equipment as you progress. The game features a story mode where each chapter represents a novel by one of the authors listed above; if you are an avid martial arts reader this provides some very exciting opportunities to play through the very stories you have read. The game also features a player-vs-player (PvP) mode allowing you to fight against other players - even robbing them of their gained skills and equipment if you are good enough. Like many free-to-play games there is an energy mechanic which controls how many times you can play within a single session until your energy recharges. However, you can obtain extra energy from an adventure, 'time to eat', and some modes - including PvP - do not consume energy. Martial Heroes is quite an exciting game with colourful graphics and battle sequences, including collectible heroes, especially for those familiar with the works of the novelists whom the chapters pay homage to. Fight alongside famous characters created by 3 of the world’s top Martial Arts Novelists; JingYong, Gu Long and Huang Yi!! Enlist over 100+ Legendary Heroes to fight by your side. Give your Heroes the leverage over opponents by providing them with equipment and powerful Martial Arts skills! Get in on the PvP mode to rob other players of valuable equipment and epic skills! Not a fan of PvP? Then try out the Story Mode. Each chapter in the story mode represents one of the novels written by JingYong, Gu Long or Huang Yi. Meet these Legendary Heroes, as they come alive in front of your eyes. Interact with other characters and do battle! Test your mantle and see if you are powerful enough to take down the jewels of the Martial Arts World! Still not exciting enough for you? Then try to pitch your skills in the Master’s Trials! Meet various Martial Arts Masters and see if you can beat them all! There are 60 levels in the trials! Can you conquer them all? Click the download button right now, for the Legendary Heroes await you in Martial Heroes! ☆Explore the historical world of Martial Heroes through various battle modes according to your battle style! ☆Over 100 Legendary Heroes waiting to join you in your adventure and quest for the ultimate victory! ☆ Form the best battle team and slash your way to the top of the Hero Board! ☆Equip Heroes with stunning Martial Arts skills, unique Passive skills and Special Chi to become the strongest of them all! ☆Pit your wits against fellow Heroes in the Blood War system! Fight to the end! ☆Limitless achievements to be unlocked! Become a LEGEND now! Requirements: Available for Android compatible devices. Requires Android 2.3.3 and up.